the world a brighter place. Deliver great lighting that will pay for itself guaranteed and leave the world a better place. Something simple that we can all do. At Mission LED, we are committed to constant and never-ending improvement in our products and company. We are always looking at ways to reduce our impact on the environment. We consistently strive to find ways to enjoy our environment in a sustainable and ecological friendly way. 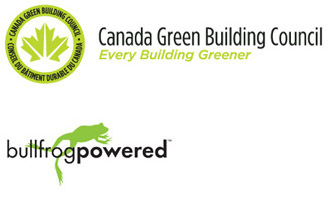 We’re also proud members of the Canadian Green Building Council and we collaborate with Bullfrog by purchasing wind generated power that reduce CO2 emissions. At Arctic Spas, our goal has always been to build the most energy efficient spas in the world, while sacrificing nothing in regard to performance and product quality. I am proud to have been a part of this great organization and helping to take that product around the world. The Arctic philosophy was always about innovating new technologies and challenging the status quo. It was a great training ground for my role in Mission. The difference for me is this time is scale. Efficient hot tubs help a lot of people, but efficient lighting can help everyone, the potential impact on the environment and people’s lives is just so much more this time around… it’s really exciting. “Correct it before it becomes a problem”. Those philosophies saw me through 8 years of off shore manufacturing in China, dealing with every wrench that could be thrown into the gears. I did not speak the local language, but I did speak the international language of manufacturing a product I could stand behind and be proud to put my name on. I am happy to put my name on our Mission products – and I will stand behind what we sell – both products and service. I may not have mastered the language of lighting yet, but I have my SHK (School of Hark Knocks) in LED manufacturing and product development. I’m glad to be on your team helping you solve your problems! Customer service has been my life. 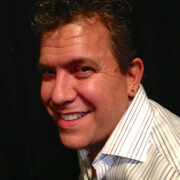 My experience comes from a variety of positions in various industries helping customers achieve their goals. 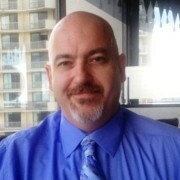 I learned a great deal of what it takes to understand customers needs and wants, and then supply a variety of solutions that fit their needs all the while making certain the customers were happy with the solution they chose. Missions goal of “leave the world a better place” starts at the at the very foundation of our businesses and our lives. We make choices that affect our lives and the lives of our children, and making the right choice isn’t always very clear. I believe I can help make the world a better place by making the choice for LED lighting clear. I’m excited about being a part of Mission LED Lighting Company and look forward to assisting anyone looking for a lighting solution. Mission LED Lighting Company is committed to making the world a brighter place. At Mission LED Lighting Company, we believe that every traditional bulb or tube converted to an LED is a step closer to a lighting solution that has a net-positive effect on the environment and your bottom line. Mission LED is there to help; whether you require single fixtures, complete retrofits or customized lighting designs for new installations and/or specialty purposes. 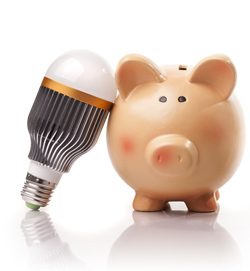 LEDs are the solution to increased budget constraints and escalating energy consumption and costs. Mission LED Lighting Company combines value with high-end solutions for every requirement, and our products offer payback in less time than you would think. Remember: LEDs contain no toxic mercury, making them highly recyclable and a healthier choice. Note: All products we offer are CSA, cUL, or cETLus approved for use in Canada, and many also have Energy Star or DesignLights Consortium approvals.